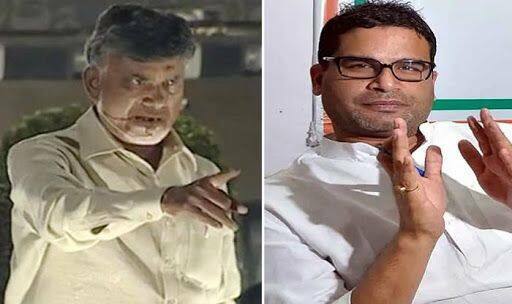 Poll strategist Prashant Kishor today lambasted AP CM Chandrababu Naidu of peddling fake news of an alleged rift between him and Jagan Mohan Reddy. New Delhi: Poll strategist and senior JD(U) leader Prashant Kishor lambasted Andhra Pradesh Chief Minister N Chandrababu Naidu on Thursday for allegedly propagating fake news against him via fraudulent tweets in his name. Kishor recently joined Janata Dal United and is also helping YSR Congress Party (YSRCP) and its chief Jagan Mohan Reddy, strategise and revive the poll campaign in Andhra Pradesh. Prashant Kishor trained his guns at AP CM accusing him of resorting to fake news to disrupt the election campaigning of Jagan Mohan Reddy. He used a hashtag of ByeByeBabu, that was devised by Reddy’s sister YS Sharmila. She has been using this slogan in her rallies and reminding people of all wrongdoings of the Chandrababu Naidu-led TDP government, thereby urging them to bid goodbye to Babu. Meanwhile, Kishor has long been at the receiving end of contempt from Jagan Mohan Reddy’s political opponents. Last month, TDP leader Lanka Dinakar claimed that his advice to Reddy was “adversely affecting peace and harmony” in Andhra Pradesh. “Telugu Desam Party and N Chandrababu Naidu have a lot of respect for people of Bihar. Prashant Kishor is advising Jaganmohan Reddy, it’s adversely affecting peace and harmony in Andhra Pradesh. We are only raising our voice against acts by Prashant Kishor that are threatening peace and harmony in Andhra Pradesh,” Dinakar was quoted by news agency ANI. Recently, Andhra Pradesh chief minister Chandrababu Naidu, while addressing party workers in Ongole area of Prakasam district, had accused ‘Bihari dacoit’ Kishor of removing the names of lakhs on voters from his state’s electoral roll. Kishor is the famed poll strategist who devised ways for Prime Minister Narendra Modi to win the 2014 Lok Sabha elections. He then, reportedly, made a commitment to the YSRCP in 2017 to assist them in preparing for elections and take on the ruling TDP. The Jagan Mohan-led YSRCP had failed to secure a win in Andhra Pradesh in 2014 elections and is believed to be pulling all stops to wrest power this Lok Sabha season.